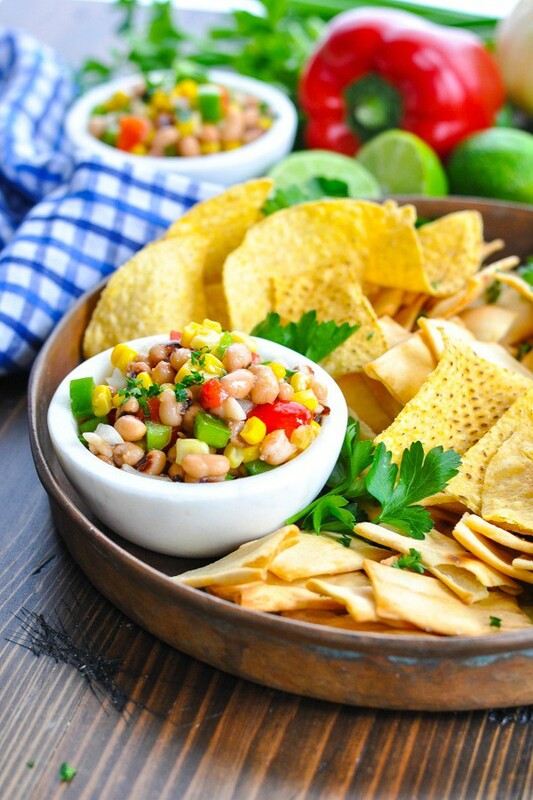 Serve this Texas Caviar for a satisfying salad or scoop it up with tortilla chips for a healthy, flavorful dip. It’s a crowd pleasing side dish recipe that comes together in just minutes! 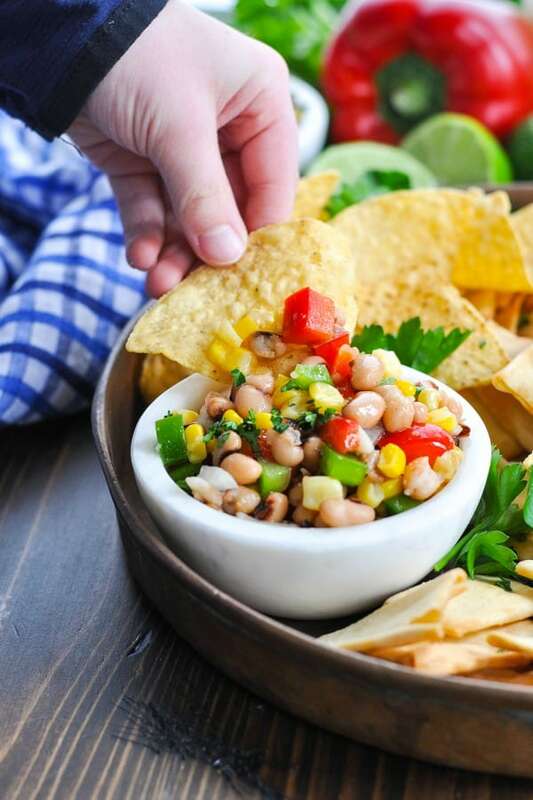 Y’all, I’ll take a big bowl of this Texas Caviar recipe over fresh salsa any day! I just love the combination of textures and flavors from the black eyed peas, corn, onion and bell pepper in a sweet and sour dressing. 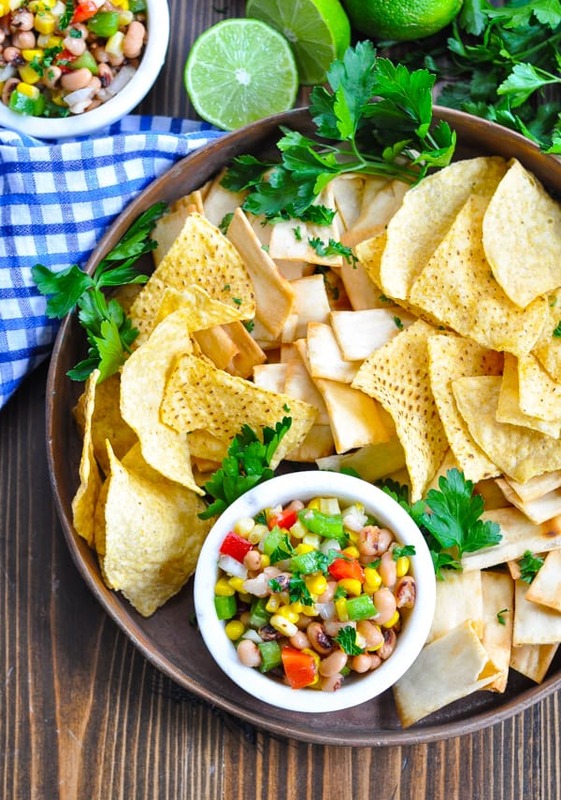 Whether you snack on it with chips or vegetables, use it to top a taco or grilled chicken breast, or serve it as a side salad with your next easy dinner, this is a versatile and nourishing dish that your family will adore! Also called, “Cowboy Caviar,” this is a salad of black eyed peas that have been lightly pickled in a vinaigrette dressing. The recipe was originally created in Texas in 1940 by a woman named Helen Corbitt, who first served it on New Year’s Eve at the Houston Country Club (source). Place all of the dressing ingredients in a small saucepan and bring to a boil, whisking occasionally. Remove from the heat and cool completely (this will take at least 30 minutes). Add the cool dressing and toss to combine. Cover and refrigerate for at least 4 hours (or overnight). This gives the salad a chance to “marinate” in the delicious dressing! I like to drain off any extra liquid or dressing just before serving. Then garnish with chopped fresh cilantro, parsley, green onions or a squeeze of lime juice. Yes! This salad is full of protein and fiber from the beans, along with plenty of nutrients from all of the fresh vegetables. 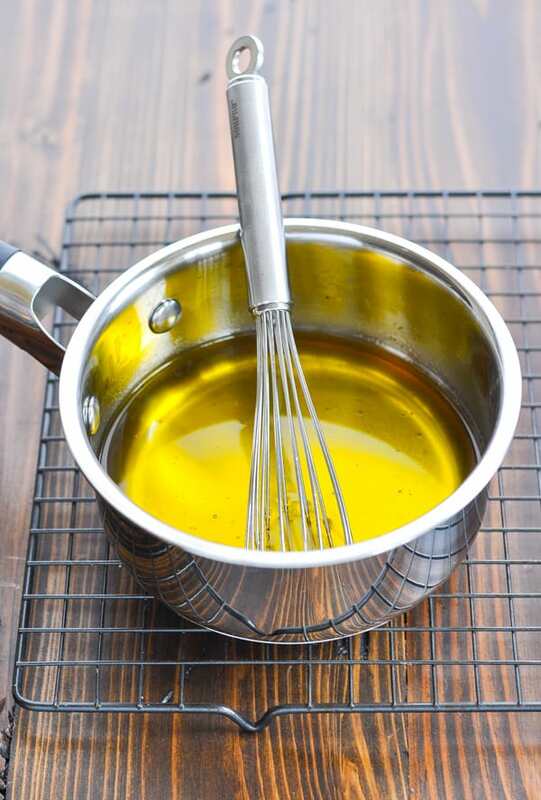 The olive oil vinaigrette adds healthy fat, while the sugar can be increased or decreased according to personal preference. 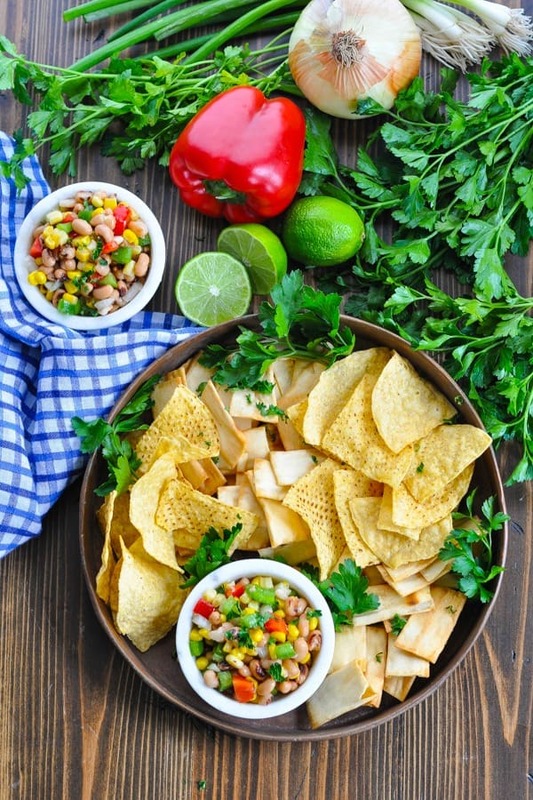 This recipe for Texas Caviar has just 74 calories per ¼ cup. Yes, this recipe is naturally gluten free. 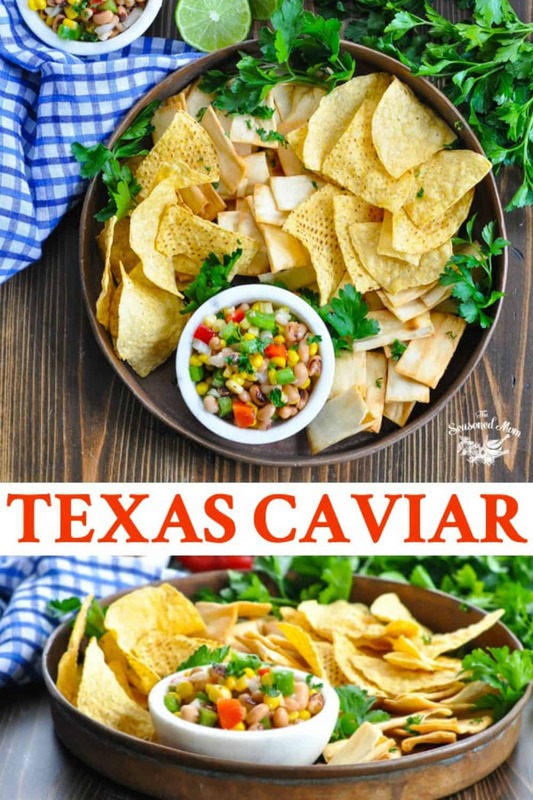 How long does Texas Caviar last? The Texas Caviar will keep in the refrigerator for at least 2 days. You can store it in the refrigerator for up to 3-4 days, but the vegetables start to break down and become soft as they sit in the dressing. 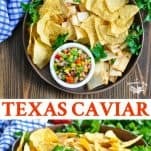 Can Texas Caviar be frozen? Yes, you can freeze this recipe. The vegetables will be softer when thawed, but it will still taste good! Give it a stir and drain any excess liquid before serving. 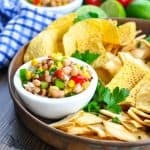 This Texas Caviar recipe uses apple cider vinegar, but you can substitute with regular white vinegar in a pinch. 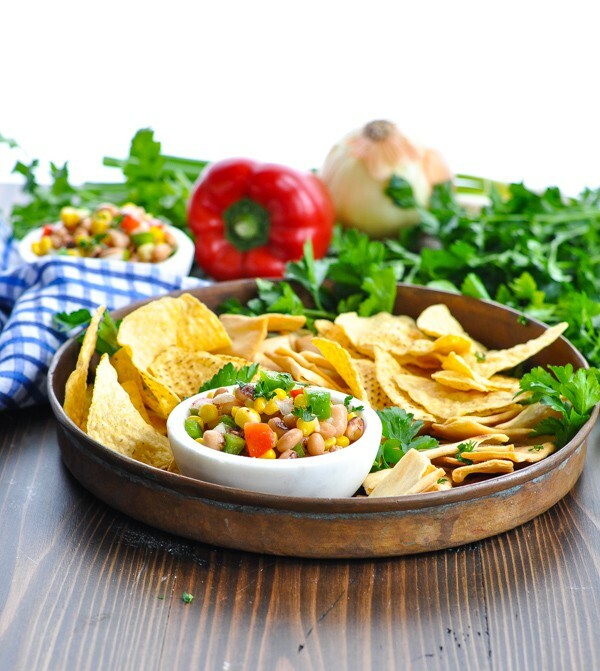 The Cowboy Caviar dressing is made with vinegar and sugar. You can increase or decrease the amount of sugar in your dressing, to taste. As written, this is just a slightly sweet dressing – it’s not overpowering. 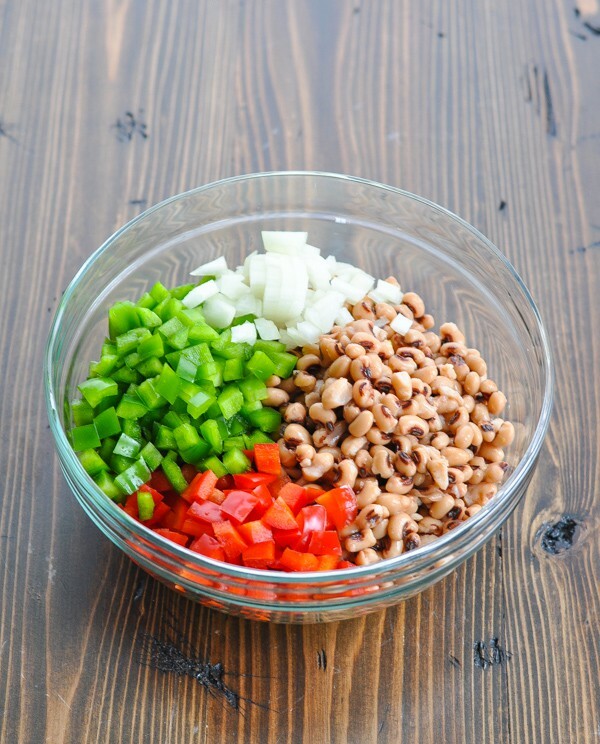 Make Texas Caviar with Black Beans: you can substitute black beans for the black eyed peas in this recipe. 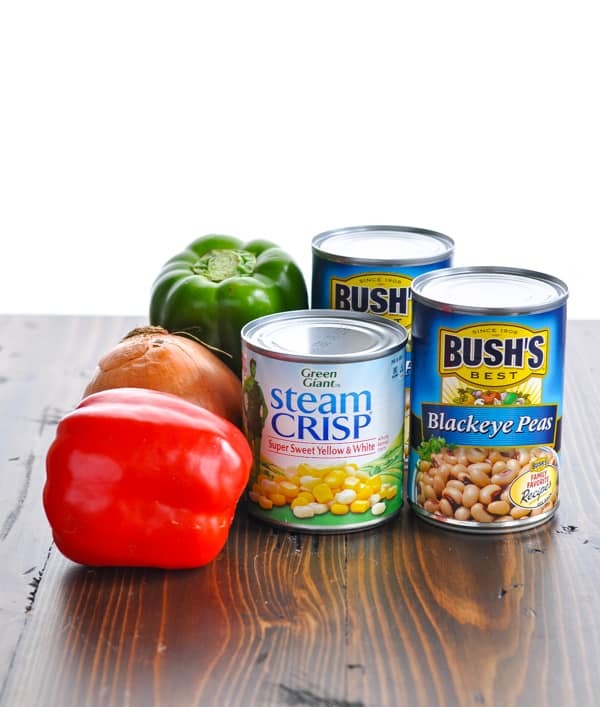 If you like, try a combination of both black beans and black eyed peas by using 1 can of each! 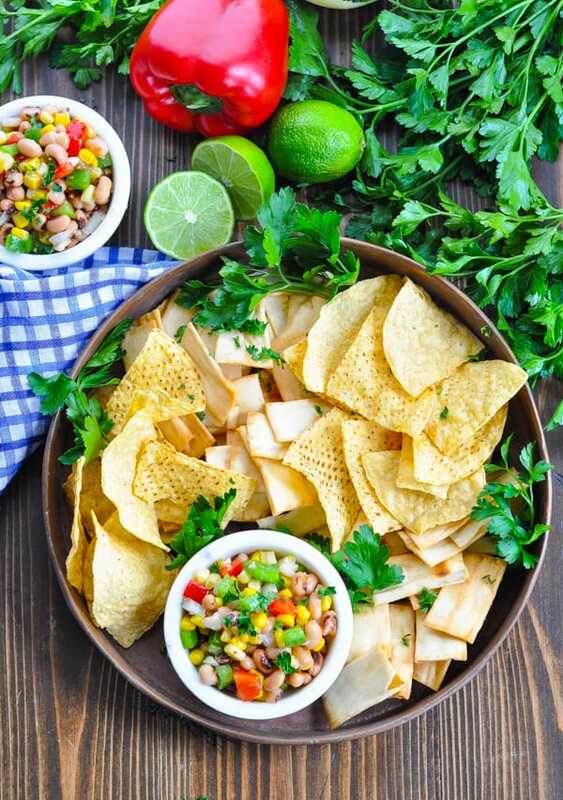 Prepare Cowboy Caviar with Avocado by adding diced avocado to the salad just before serving. Garnish with chopped fresh cilantro, sliced green onion, fresh parsley, or a squeeze of fresh lime juice. 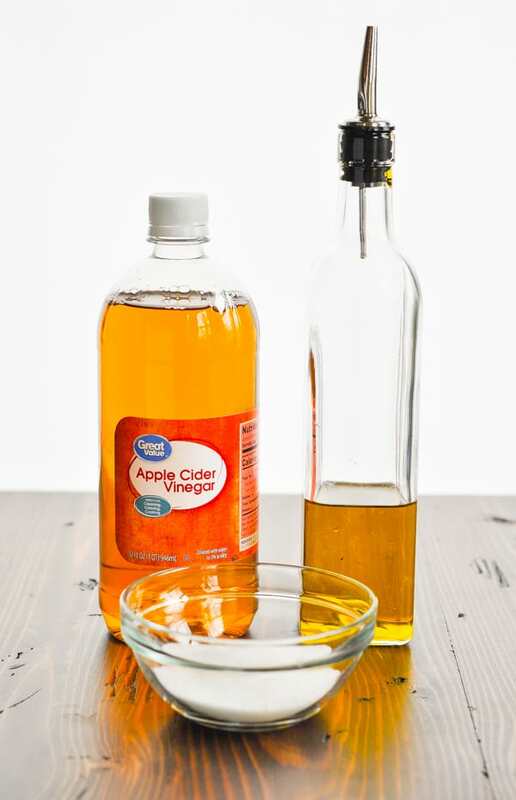 In a saucepan, whisk together vinegar, oil, sugar, salt and pepper. Bring to a boil, whisking occasionally. Remove from heat and cool completely (at least 30 minutes). 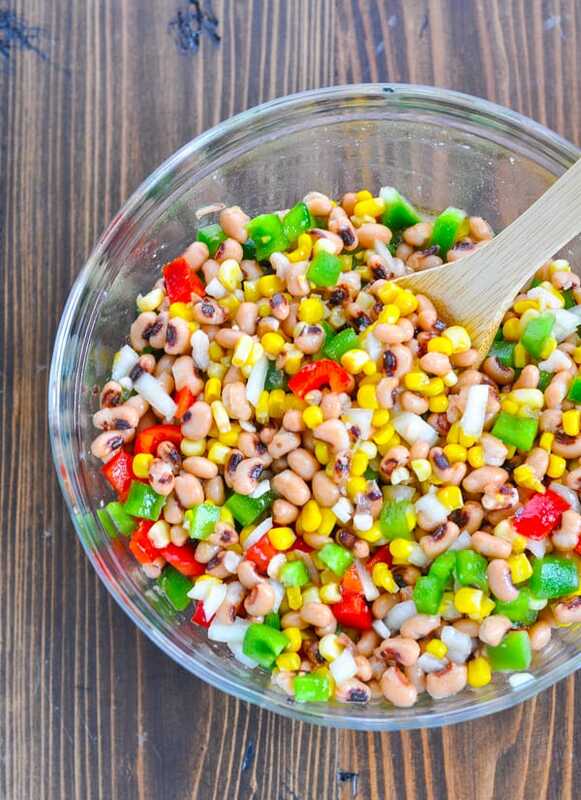 In a large bowl, combine black-eyed peas, corn, bell peppers and onion. Add cool dressing and toss to combine. Cover and refrigerate at least 4 hours (or overnight). Drain off any excess dressing just before serving. Garnish with fresh herbs or lime juice, if desired, and serve with pita chips or tortilla chips. First time I received it. Wanted to subscribe. We usually make this for New Years Eve but it’s such a great salad/side/snack to make year round. Thanks for the reminder! For the dressing I’ve used just olive oil and lime or lemon juice , I will try with your dressing recipe next time.